Sanford Health is currently seeking a Board Certified or Board Eligible Pediatric Neurologist to join our expansive pediatric specialty team at Sanford Children’s Hospital in Fargo, North Dakota. Support from the largest team of more than 65 board-certified, fellowship-trained pediatricians and pediatric specialists in more than 25 medical specialties, including general surgery, orthopedic surgery and neurosurgery. Will serve as a faculty in future adult neurology residency program. Be part of a physician driven organization with excellent compensation, comprehensive benefits package, relocation assistance, and much more. Sanford Health is the largest rural, not-for-profit health care system in the Nation and the largest employer in the Dakotas. 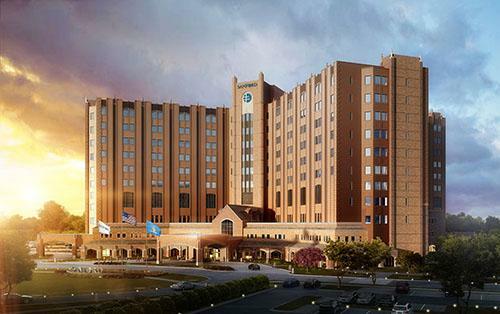 Our family is 25,000 strong and our care stretches across 220,000 square miles. The Fargo/Moorhead/West Fargo area is a robust metropolitan community of nearly 230,000 and growing. Offering the best of both worlds, the community is large enough to support many amenities of a large urban setting such as an International Airport, Community Theater, Symphony, three universities and a community college, a professional baseball team and a zoo yet not so large as to generate the drawbacks such as a high crime rate, traffic congestion and pollution. The area enjoys four seasons with low humidity making for pleasant spring, summer and autumn days. Sanford Health is the largest rural not-for-profit health care system in the Nation and is dedicated to excellence in patient care, innovation and pioneering integrated care. Our model of integrated health provides care through physicians, hospitals, health plan, research and education. Our reputation of excellence is founded on our talented team of over 1,400 primary and specialty care physicians located in 140 locations throughout Iowa, Minnesota, Montana, Nebraska, North Dakota, and South Dakota. These practices are all networked by our state-of-the art EMR system -- EPIC. With more than 27,000 employees, Sanford Health is the largest employer in North and South Dakota. The system is experiencing dynamic growth and development in conjunction with T. Denny Sanford's gift, the largest gift ever to a health care organization in America. This gift is making possible the implementation of several initiatives including global children's clinics in China, Ireland, Africa, Israel and Mexico., multiple research centers, eradicating breast cancer and finding a cure for Type 1 diabetes. The metropolitan community that includes the City of Fargo , West Fargo, ND and Moorhead, MN is located in Cass County, ND and Clay County, MN. The extended community is along the Red River of the North which forms the border between Minnesota and North Dakota. This robust, metropolitan, community of nearly 216,000 continues to grow at a comfortable rate and offers the best of both worlds. More than 26,000 college students contribute to the area’s entrepreneurial spirit, its educated workforce and to national rankings as a #2 Metro in the U.S., Top 50 Digital City and Smartest City in the U.S. The community is large enough to support many amenities of a large urban setting such as an International Airport, Community Theater, Symphony, three universities and a community college, a professional baseball team and a zoo yet not so large as to generate the drawbacks such as a high crime rate, traffic congestion and pollution. Thirty-six arts and cultural organizations and the three university communities generate cultural and sporting events for all to enjoy. Year-round sports and recreational activity for children and young adults are provided through the schools, park districts, private organizations and the YMCA. Three public school districts and two parochial school systems offer a wide selection of high-quality courses at all levels. The area enjoys four seasons with low humidity making for pleasant spring, summer and autumn days. Average high temperature is 16 degrees in January and 82 degrees in July. Fargo's historic central business district is a vibrant commercial area providing unique opportunities for housing, shopping, dining and entertainment. West Acres Regional Shopping Center is located at the junction of Interstate Highways I-94 and I-29. Neighborhood and specialty malls are located throughout the city. Fargo is home of the North Dakota State University Bison, playing Division I football in the Summit League.